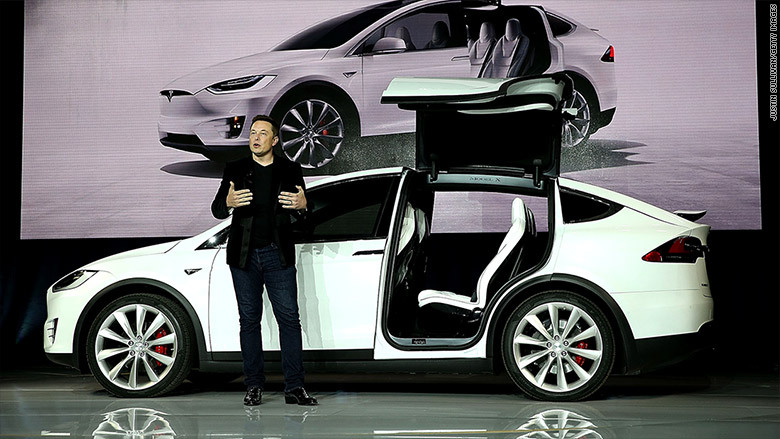 The Falcon Wing doors are without a doubt the coolest-looking part of Tesla's new Model X crossover SUV. And they're actually even cooler than they look. These doors sense and react to their surroundings. The Falcon Wing doors are hinged at the top, like the more familiar gullwing doors found on those classic Mercedes-Benz sports cars. But each of the Tesla (TSLA) doors has a second hinge that creates something like an elbow. That allows the doors to open in different ways depending on the situation. The simplest and fastest way for these doors to open is up and out, like the Mercedes doors do. But Tesla's elbow means that Model X drivers can park anywhere -- even in tight spaces. The Falcon Wing doors are equipped with sensors that can tell if there is something next to or above them. So if if there's a car parked right next to the Model X the top part of the door will swing up but, at the same time, the elbow will bend in. That way the bottom part of the door that runs parallel to the side of the car will be pulled almost straight up without hitting anything. If the car is parked somewhere with a low ceiling, say a garage, the doors will go up as far as they can, then the elbows will bend out to make enough room for people to get in or out. The Falcon Wing doors provide a wide opening easy access. 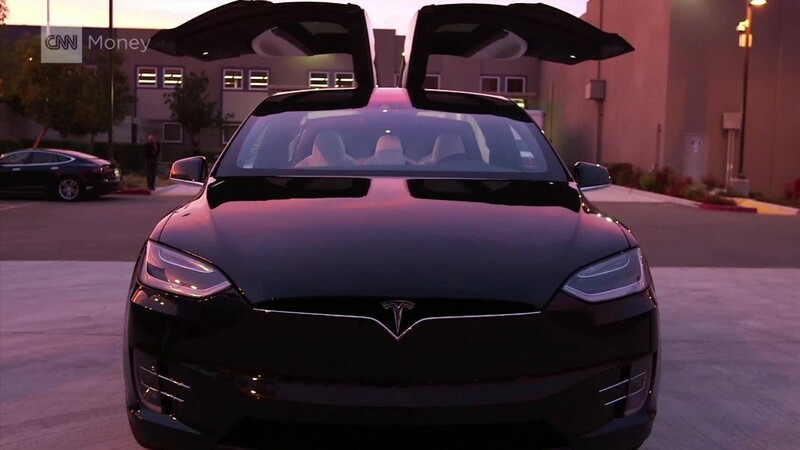 Tesla's ultrasonic sensors bounce high-pitched sound waves (that can't be detected by the human ear) off of objects around the vehicle to detect anything that might get in the way. The designers wanted to preserve the smooth skin of the SUV, so the company figured out a way to do all of this without having any sensors visible on the outside of the car. Tesla engineers invented sensors that could "see" through aluminum sheet metal, Tesla CEO Elon Musk said, so that they can be hidden inside the doors. Musk admitted that the Model X's incredible complexity had been a challenge in getting it ready for production. And sensors can also see inside the door, not just outside of it. So if a Falcon Wing door is closing and there's an arm or a leg in the way it will stop moving. "Actually, I had the engineers watch ballet," he said. Hopefully, the dance will impress the 25,000 buyers who ordered a Model X before even seeing it.